This report contains 105 images copyrighted by the WSEAS. All rights reserved. by Prof. Balswaroop Bhatt, The University of the West Indies, Trinidad and Tobago. by Prof. Brian J. McCartin, Kettering University, USA. by Prof. Moustapha Diaby , University of Connecticut, USA. by Prof. Charles Long , University of Wisconsin-Stevens Point (UWSP), USA, and and Prof. Siavash H. Sohrab, Northwestern University, USA. by Prof. Patrick Wang , Northeastern University, USA. by Prof. Gabriella Bognar , University of Miskolc, Hungary. 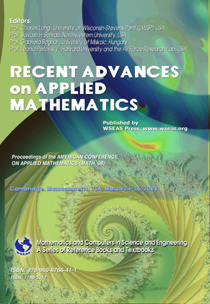 by Prof. Leonid Perlovsky , Harvard University and the Air Force Research Lab., USA. by Prof. Jiancheng Guan, Fudan University, China. by Prof. Daphne Halkias , Hellenic American University, Greece. 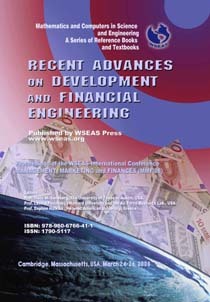 Recent Advances on Development and Financial Engineering. Editors: Leonid Perlovsky, Irwin W. Sandberg, Daphne Halkias.